Learning to breathe differently may sound difficult, but in fact, certain breathing techniques can become second nature, given time and practice. In order to learn therapeutic ways of breathing, however, we have to become aware of what we are doing. When you breathe, you take air into your lungs. The oxygen in the air passes through the walls of the lungs and into the bloodstream, then circulates throughout the body, nourishing the internal organs. 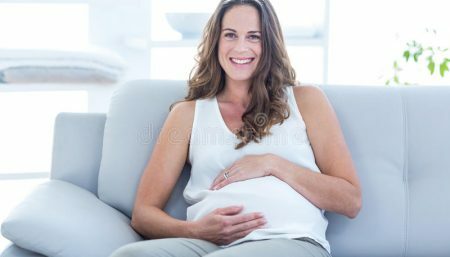 When your are pregnant, it also passes through the walls of the womb into the placenta, where it supplies oxygen to your growing baby. The bloodstream carries the waste product carbon dioxide away from the organs (and your baby) back to the lungs so that you can breathe it out. During this process the diaphragm moves up and down, massaging the internal organs and muscles. Irregular breathing causes movements of the diaphragm that are also irregular and not performing their function properly. Breathing too fast often means inhaling before the last breath is properly exhaled, leaving stale air in the lungs and impending the flow of oxygen to the rest of the body – and to your baby. During exercise, you can make the most of your movements or stretches by breathing out during the movement that requires the most effort. Breathe in through the nose, and out through the mouth. Don’t hold your breath at the same time that you are contracting a muscle – this can impede blood flow and cause dizziness. Keep your breathing moderately deep and regular. When relaxing, concentrate on your breathing. Again, breathe in through the mouth. As you inhale, imagine that you are breathing in calmness and peacefulness. As you exhale, think of breathing away all the tension in your body. Breathe more slowly and deeply than usual. 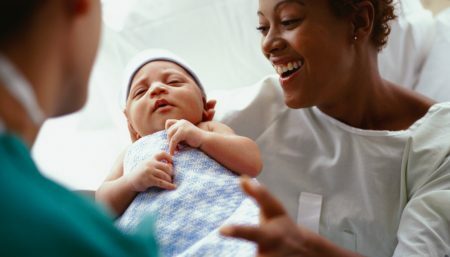 Controlled breathing is sometimes taught as a technique for managing the pain of contractions in labor. Breathing regularly helps you to avoid the tendency to tense up with fear or discomfort-which then increases pain. To prepare for childbirth, you can learn different ways of breathing and practice them so that you are confident and prepared when labor begins. None of these techniques is intended to take your mind off labor. Instead, they offer you a way to work with your body and adapt as the demands upon it change. All pushing contractions should begin and end with a cleansing breath. You may use these methods of breathing during pushing. Level 1: Relax and start breathing in. When you breathe out, make a little more of an effort than you would normally, and imagine all the air in your lungs being emptied out. Breathe in and out again in the same way, keeping a slow, regular, gentle rhythm. Breathe this way between contractions. Use this as you feel a contraction coming. Breathe a little more quickly, and don’t empty your lungs as you exhale. Continue breathing quickly, without emptying your lungs completely through the peak of the pain. As you feel the contraction ending, revert to slower breathing so that when the contraction is over, you are at level 1. Signal the end of the contraction with a long breath out. It is easier to practice breathing techniques when you know you are doing it correctly. Sit in a relaxed position. Hold a feather about 6 inches (15cm) away. For level 1 breathing, the feather should flutter slightly but remain upright as you breathe out. For level 2, the feather should move more rapidly, as well as bend slightly but perceptibly away from you. For level 3, the feather should clearly bend away from you. Sit in a relaxed position, so that your partner can place the palms of his hands against your back, just below your waist. He can sit in front of you or behind you, whichever is more comfortable. Alternatively, you can lie on your side, with him sitting or lying next to you. He should feel a slight movement under his hands when you are doing level 1 breathing correctly. Ask him to move his hands up, so that they are in middle of your back, behind your ribs. Level 2 breathing should cause movement under his hands here. For level 3 breathing, your partner’s hands should be below your nape, where he should feel some very slight movement. For a Lamaze certified childbirth instructor in your area, contact: Lamaze International or 1-800-386-4404. Meditation PointTeaching Your Kid How To Breathe.